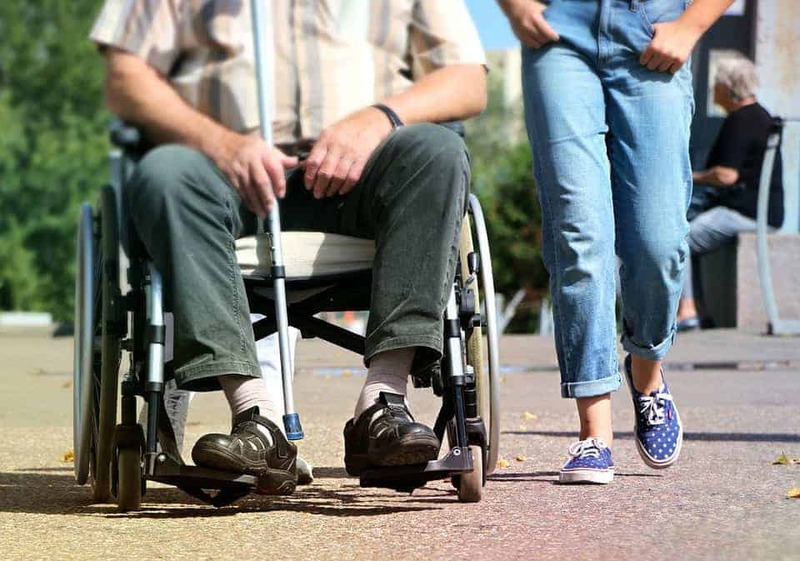 Are you using your mobility aids and equipment properly? Using these implements improperly can lead to an injury or nasty fall. Buy your assistive devices from a reputable and customer-ranked company that will provide information, support, and service during your rehabilitation. Are you using your mobility aid correctly? Ask providers and professionals for a demonstration to ensure you are using proper and rehabilitative form. If you are recovering from a mild injury or need some assistance with balance, you will likely be recommended a cane. Canes are light-weight and help shift weight from your lower extremities to your arms. Keep in mind that canes are not intended to withstand your entire body-weight, so practice to make the cane a useful walking implement for everyday life. Your cane should measure around half of your height, with shoes standing straight. When using the cane for better balance, place in your non-dominant hand and keep your dominant hand free for other tasks. If you are recovering from an injury, such as a sprained ankle, hold the cane in the hand that correlates with your injury. For instance, if your right leg is injured, carry your cane in the right hand. All canes are not the same and there is a wide range of styles, grips, and sizes to suit your needs. Your provider may recommend or prescribe crutches for injuries that mandate keeping weight off your legs or feet. For example, crutches are used for folks sustaining a broken leg, foot, or ankle. Avoid going up or down stairs while you are using crutches. To navigate steps, you will need to be flexible and quite strong; ask your doctor first. When you use crutches, start each step as if you are going to move the injured leg but shift the weight to the crutches instead. It will take some practice. Try to support your weight with your hands that are on the grips, instead of relying on your underarms resting against the top of the crutch. Over time, this could damage or injure blood vessels or nerves. Make sure your crutches are the right size; when standing, the crutch should come a couple inches below your armpits. Your hip should be in-line with the height of the hand-grips. Walkers are often used when you need to keep some or all your weight off your lower extremities. These are prescribed for individuals sustaining hip injuries or that are recovering from replacement surgery. Your arms support the weight with a walker, although with time, you may be able to bear more weight with your lower body. Don’t bend over the walker. Adjust it so that the height is conducive to walking upright, with a straight back. Ideally, your wrist and the top of the walker should be the same height. Periodically check the feet of your walker to make sure the rubber-tips are not damaged or covered in debris that could make the walker less-stable. You can find replacement tips and rubber caps at a medical supply retailer. Do not attempt escalators or stairs with a walker. This is dangerous and could result in further injury. There are many different types of walkers available for you, including both sit-down and stand-up styles. Talk to your provider, who will suggest the best aid for your recovery. Worrying about the costs? Don’t be; talk to a mobility aid expert first to determine what your out-of-pocket expenses will be. Never borrow or buy second-hand equipment, as these may not fit you specifically which could result in a fall. Also, only allow qualified professionals to install any mobility aids, such as lifts, in your home. Are you facing surgery or had a recent injury? Talk to the professionals at Pacific Mobility to find the best aids, devices, and equipment to jump-start your recovery and get you back on your feet fast. These professionals will assess your distinct needs and demonstrate proper usage to ensure you are not jeopardizing your rehabilitation by using canes, crutches, or walkers incorrectly.